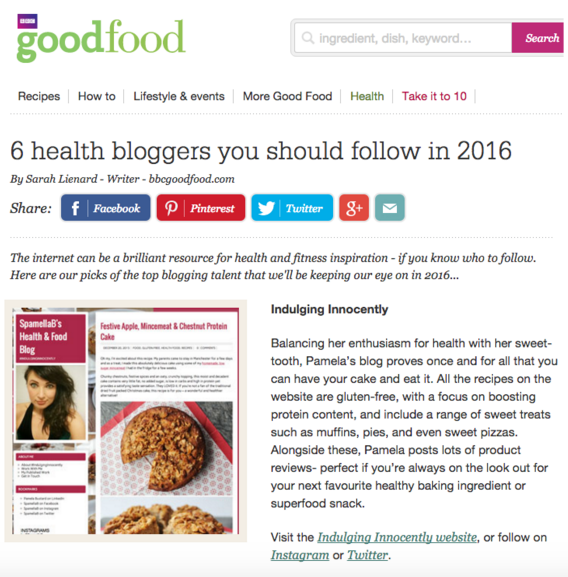 I’d just like to write a quick post after finding out last night that BBC Good Food has selected me as one of their six health bloggers to follow this year. Alongside the likes of Deliciously Ella, Green Kitchen Stories and Chocolate Covered Katie – some of my biggest inspirations – I’m pretty overwhelmed. What started out as a hobby a couple of years back, an outlet for my passion for health, fitness, food and creating recipes, my blog allowed me to take the leap into freelancing last September and I haven’t looked back. Working with the likes of Kaizen Living, PhD Nutrition & PhD Woman, Vivo Life and Cowherds, I’m so proud of my clients and now this recognition is just another addition to my growing calibre of work. Healthy Protein Waffles? Thanks Domu + VonShef!